A few years ago I don't think I would have even known what 'curating a feed' meant. But, now that I've been in the social media game for a few years, I wanted to share this simple piece of advice. Deciding who to follow on each platform is absolutely key to what you will see on your feed each day. It does take a little bit of time and effort but it will pay off immensely. Focus on your favorite 2-3 platforms. Don't feel like you have to be active on every single social media platform. Do you love following celebrities antics on Twitter via 140 characters? or would you rather scroll through tons of tiny (mostly) square photos? Do you like seeing what other's pin? or are you a Facebook addict? I'd recommend focusing on two or three of your favorite platforms. Don't feel like you "should" be spending more time on Pinterest. If you wanted to spend more time on Pinterest, you'd spend more time on Pinterest. What is the first thing you think about when you wake up? Your kids? Coffee? Clothes? The environment? Work? Travel? Justin Timberlake? (All of the above?) Do you want to see pictures of outfits (#ootd)? Travel inspiration (#traveltuesday)? or do you want to know what Britney Spears is doing a 3 pm on a Wednesday? Pay attention to what people regularly post. 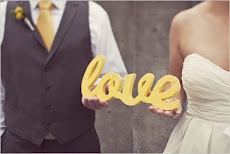 Read their bios -- they actually tell you a lot about what what drives the person. Recognize this may change. When I first started posting on Instagram, I loved fashion + outfit posts. Now I am more into travel photos, but I still love fashion and beauty photos. I find that most of the people I follow are fashion bloggers with travel bloggers coming a close second. Is that loop giveaway really worth it? Do I really want to spend 15 minutes of my life following all these random people on Instagram that I don't even really like their feeds? Hell-to-the-no. I think I did a few loop giveaways when they first came out but I refuse to do one now. Ain't nobody got time for dat. My advice would be to carefully look at each person's feed to determine if you actually want to follow them. Sure, it would be nice to have a $500 Nordstrom shopping spree but not so much that I have to spend the time and un-follow all those random people that I never wanted to follow in the first place. Not worth it. Don't follow people just because you want them to follow you. If I follow someone, it's because I like what they post. I don't expect them to follow me unless they like what I post. Sounds simple enough, right? I've seen so many random people follow me on Instagram and expect a follow back and then unfollow me when I don't. Sorry, it doesn't work that way (at least in my book). I think it's important to constantly reevaluate who you follow. This is not something you do one time and then never look at again. You'll want to clean up and constantly maintain who you follow. One easy way to do this is by looking at your feed each day and if you start seeing things you don't like, immediately unfollow. Recently, I was randomly following someone on Instagram and they just started posting super weird stuff that would literally shock me whenever I saw it. Everyday, I said to myself, 'I should really stop following this person' but for some reason I never did. Then, one day I did and it was so freeing. 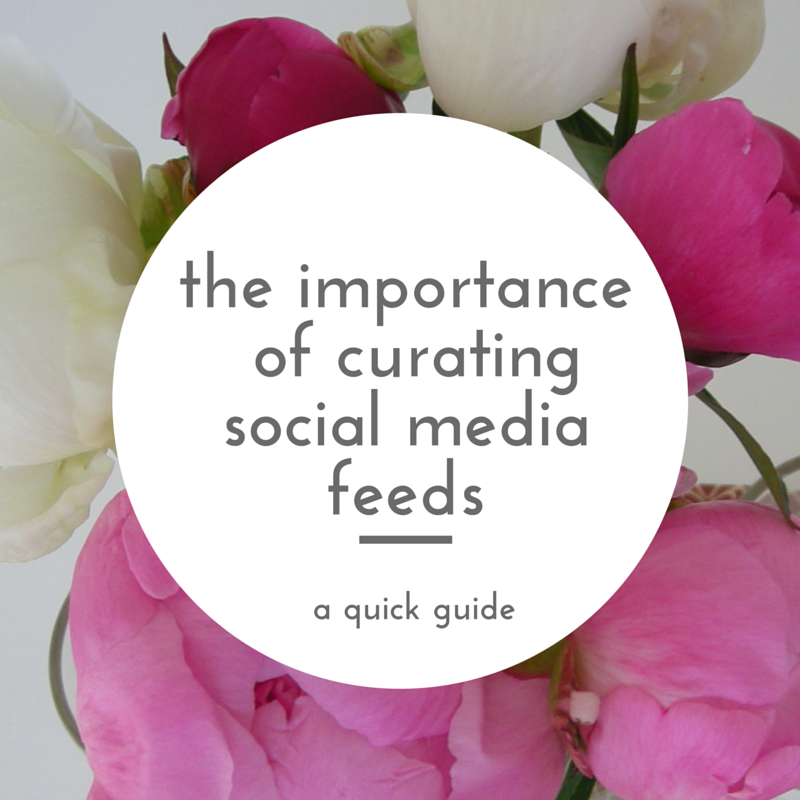 Do you have any tips for curating social media feeds? If so, post in the comments below. Excellent post, friend! It's so easy to get caught up in the "shoulds" especially with social media. Curating a perfect feed is so important--I find that I get totally overwhelmed if I end up with a bunch of stuff in my feeds that don't "feed" me.